I feel like I saw this upset coming from a mile away. As soon as the Steelers-Jaguars game ended and I saw the way it was being portrayed in the media, I knew the Steelers were going to have a bounce-back…that they were a good team…and it was the perfect scenario for a ‘get right’ game. At the same time, our computer models felt that the Kansas City Chiefs were a bit overrated. Very good, but not world world-beaters. In fact, more holes than we realized. If you watch this game, then you saw it played out according to our spec – the score was a lot closer than reality. The Steelers pretty much dominated the Chiefs in this game. I don’t know that this game says a whole lot about the Chiefs. They were a good team that walked into an ambush against another good team with more emotions running for this win. If they played again next week, we’d probably see the Chiefs win it. Neither of these teams are so good that they couldn’t beat any other team on any given Sunday. It does expose a little bit of the hype bubble on the Chiefs – they aren’t good as their 5–0 record said. They have issues like most teams…but overall they’re fine. However, I think this game says a lot more about the Pittsburgh Steelers. First, you want to see good football teams rally in the face of adversity – and that’s exactly what the Steelers did. Had they rolled over in this game game, it would’ve been lights out for 2017. Going to Kansas City and pasting it on the leagues league's only remaining undefeated team – that could turn the season around. More importantly, the dominating win confirmed another suspicion – no more speculation on the Steelers defense. They are bordering on being one of the best in the NFL. They had an easy schedule leading up to this, which is why we advocated starting the fantasy season with them, but paused on them here – but now it looks like we can finish the fantasy season with them as well. More on that in the player section notes. Both of these teams will win their division and probably see each other in the playoffs. It’s hard to argue with thinking this was probably a preview of the AFC Championship game. — I want to say that the Chiefs have to start changing their offensive game plan because they’ve fallen in love with Kareem Hunt (9-21-0, 5-85-0/6) a little too much… And that reliance is getting played upon an and exposed by defenses. Let’s look back at Kareem Hunt’s recent run for a second to grasp this this, because it’s not quite the amazing story it’s been portrayed to be. It’s a cool story. It’s definitely something worth noting and admiring. It’s not bordering on MVP material and it’s starting to take a dive/dip. Over the past three games, Hunt has 59 carries for 229 yards…3.9 yards per carry with no TDs. The schedule has gotten a bit tougher for run defenses and teams are starting to figure out what KC is doing with Hunt. I’m not suggesting that Hunt is going to crash and burn…but he’s a just a regular old ‘good’ NFL RB. He’s not a mythical creature. Jordan Howard is arguably the better NFL RB/fantasy RB…but didn’t get/continues not get getting the amazing press that Hunt has. — I'm not happy with the Tyreek Hill (5-34-0/7) usage or output at all. I am with you. However, we cannot be so blinded by love as to not realize that he’s still performing at a pretty nice pace right now. He hasn’t gone nuclear, but he sitting just outside the top group…and one big game, as he’s very apt to have, would launch him into the top 5–7 fantasy performer performers overall at WR. Hill is 14th among WRs in receiving yards per game and one of the WR WRs ahead of him is out for the year (OBJ). Considering his punt return TD, only 8 WRs have more TDs than Hill does. He’s 10th in catches this season among all WRs. All you can do with Tyreek is keep playing him him, because the big plays could happen in bunches and he’ll potentially carry some fantasy teams at any given time. It’s like 2016 Brandin Cooks — we want all of our fantasy guys to score a thousand points every week, so when they have a down week we want to hate them and sell them off to chase after some other items. The second you get rid of a guy like Cooks Cooks, then he drops a couple of 150+ yard and multiple score games…and the next thing you know you look back over the season and he’s a top 10 fantasy producer at WR, but we felt like he wasn’t because he wasn’t putting up Antonio Brown numbers. Either Hill starts to pop in more games, – and he seems to be rolling about every other game right now, – or he keeps up this on-off pattern and we have an on-off fantasy return. It feels like everybody’s on and off right now at WR. Who is consistently dominating every week…Antonio Brown and maybe A.J. Green? I know it feels like everybody else’s guys are are, but other people are complaining about the same things with their WRs. Nature of the beats. I still get ‘should I start Adam Thielen?’ questions…and the guy is #4 among all WRs in yards per game. — I've said it enough the past season+ – that it was time to get away from Big Ben for fantasy purposes, and this game was another reminder of that – this is the Ben Roethlisberger (17-25 for 252 yards, 1 TD/1 INT) the rest of 2017…around 250 yards passing and about a TD pass per game. This is the way the Steelers can go to the Super Bowl – a whole lot of Le’Veon Bell and a top-flight defense with Ben as a game manager/every pass to Antonio Brown. Bell had 32 carries and six targets…and basically, couldn’t be stopped by the supposed best team in the NFL. This is how the Steelers can win a title this year…but they probably won’t. 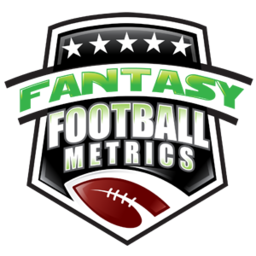 — There’s a lot a good juju about JuJu Smith Schuster (3-30-0/3)3), but I would not take a big position out on him for Fantasy. There really is no room in the reduced Big Ben world for multiple receivers to matter consistently. It’s all about Antonio Brown and Le’Veon Bell and then other guys having random moments. With Roethlisberger‘s pass volumes and performance so in decline – there’s not enough room for everyone else. In addition, you have to be concerned about JuJu’s future considering Ben Roethlisberger won’t be there in 2018. Do you think Josh Dobbs is going to make JSS a major fantasy asset? — I received some questions about Chiefs WR Demarcus Robinson (1-16-0/5) last week after Chris Conley went down for the season. I have no interest in Robinson. Conley is a really talented NFL WR and could not have been more meaningless in the Chiefs’ offense… Why would I take interest in an inferior WR forced in the action? I’d play with Albert Wilson way before I even dreamed about Demarcus Robinson. — Chiefs DB Terrence Terrance Mitchell (8 tackles) keeps producing IDP numbers as the guy who works the side of the field where Marcus Peters is not…which is also known as the only side of the field that ever sees action from teams that face the Chiefs. Mitchell is holding his own, and whether he does or he doesn’t hold his own…he’s in the middle of a lot of action because it’s coming his way regardless. — I feel so comforted by the Steelers DST right now. I’ve got enough turmoil on my fantasy teams, I’d appreciate some stability… It looks like the Steelers have delivered that for me/us. I wanted to love the Steelers DST, even more, going forward, but I wanted to see how they handled a better offense in Kansas City – and they passed with flying colors. I don’t think the Steelers are the most dominant defense ever, I just think they’re pretty good with an excellent schedule of opponents. Just when I thought I couldn’t love their schedule anymore – their Week 12 game against Green Bay just moved from a ‘sit’ to a ‘start situation. You can start the Steelers DST every week the rest of the season except – Week 15 vs. New England and Week 9 BYE…unless a rash of injuries befall their key guys ahead – Ryan Shazier (4 tackles) PLEASE STAY HEALTHY!